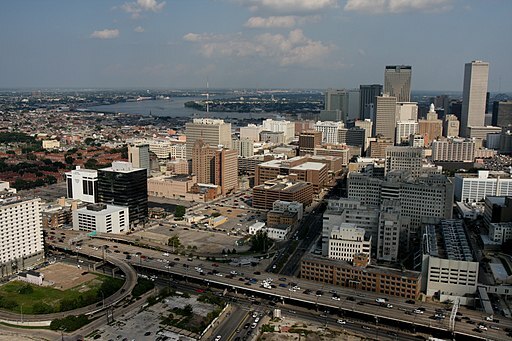 New Orleans has undergone a period of revitalization following the destruction of Hurricane Katrina. After the devastation caused by the storm, New Orleans population fell by over 254,000 people, over half of the city’s population. In 2010, a Master Plan was adopted to help revitalize residential neighborhoods and business districts show develop through 2030. The plan seeks to help these areas grow rather than recover from the effects of Hurricane Katrina. In July, City Council members listened to proposed changes to the city’s Master Plan by citizens of the New Orleans community. The plan lays the groundwork for the Comprehensive Zoning Ordinance that details which commercial, residential, mixed-use, and industrial buildings are allowed to be built on properties across NOLA. But the city also focuses on revitalization plans that go beyond land use. A revised proposal seeks to add a new category to elevate businesses and facilities that serve the local New Orleans, especially for residential historic core neighborhoods. Critics argued the proposal was too vague and could promote businesses that threaten the local quality of life. However, supporters of the plan suggested that the wording would add to NOLA’s unique culture. The executive director of the Music and Culture Coalition of New Orleans, Ethan Ellestad, argued that historic preservation should focus on more than infrastructure, asking how the board should preserve New Orleans culture and history by holistic means. Bob Rivers, the Planning Commission’s director, said any proposed amendments to the plan could include museums, music clubs, designated areas for Mardi Gras Indians, and dens for Carnival krewes, and other preserved historical locations. Currently, the council is redefine their definition of culture-serving businesses at the request of its citizens. Citizens are also concerned about the state of the city’s music venues. They requested opportunities for the revitalization of music establishments throughout the city, especially ones that were grandfathered for “nonconforming” purposes. Bob Rivers mentions that, by law, properties lose their nonconforming status after they’re closed for six months. While that law will not be changed on a city-wide basis, he states that the proposal undergoing review will allow historic live music venues to reopen through the city’s zoning applications. Citizens are concerned that music venues and performance areas that become nonconforming are constantly threatened with permanent shutdowns, which could damage several important cultural institutions, barrooms, and venues. The proposal is a way to safeguard music institutions for good. Another revision proposed by citizens is to remove residential unit densities for multi-family developments in zones with strict requirements. If the revision is approved, it could change requirements for 1,000 square feet per unit to allow construction of smaller units that may be more appropriate for land usage. If this plan is successful, it could allow the city to be more creative, innovative, and flexible with its construction, architecture, and cultural projects. Development potential could see a building boom, especially for areas with vacant properties. Plus, if more housing projects are green lighted, it could increase housing supply and decrease prices for lower and middle-income citizens. Another crucial amendment directly related to land use focuses on force of law. This section also highlights plans for housing, economic development, transportation, water management, and other infrastructure issues. Critics say the latest draft of the Master Plan had pointed to generalizations that tend to deviate from the dications within the land use section concerning properties, so someone could violate the plan. Many preservationists argued against taking away any force of law provisions within the Master Plan. However, organization committee members say that the voter-approved amendment applies to the whole document and not just one section. If many of these amendments go into effect, the New Orleans can look forward to a promising future that protects the culture of NOLA, its people, and the institutions which make up a successful city. Stay tuned later on for updates to the city’s planning initiatives!